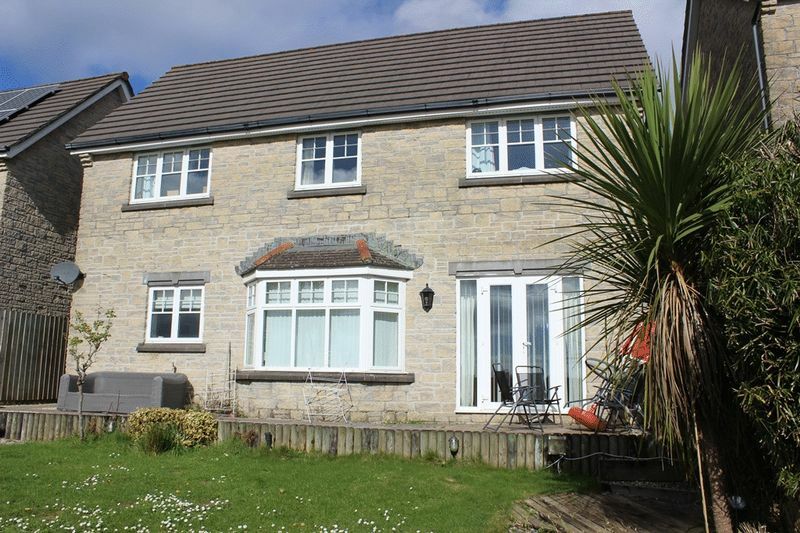 This is an impressive, detached, stone elevated four bedroom family house, together with well proportioned light and attractive living areas, south facing gardens, detached double garage and driveway hard standing parking for two/three vehicles. 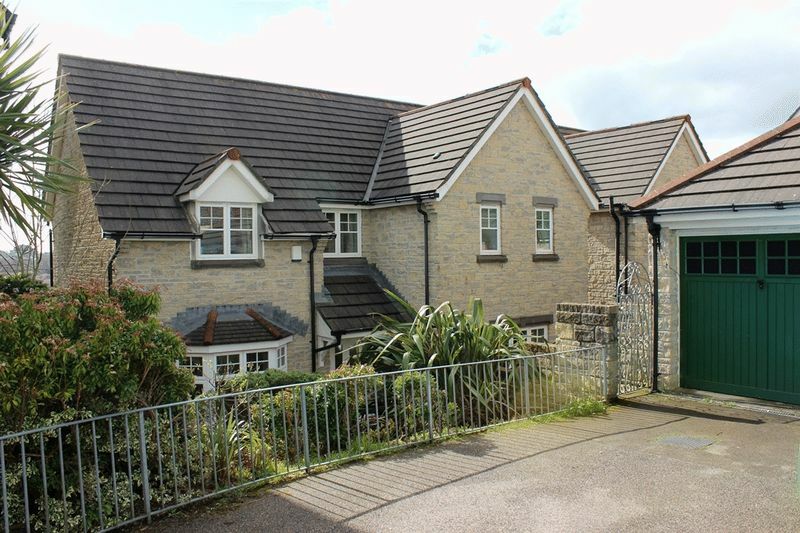 Well placed within this popular development, the driveway and detached double garage is located to the immediate front, with rockery divide and steps down to front gardens providing areas of enclosed shingle patio. The main gardens, which are south facing, extend to the rear and provide areas of patio and lawn. 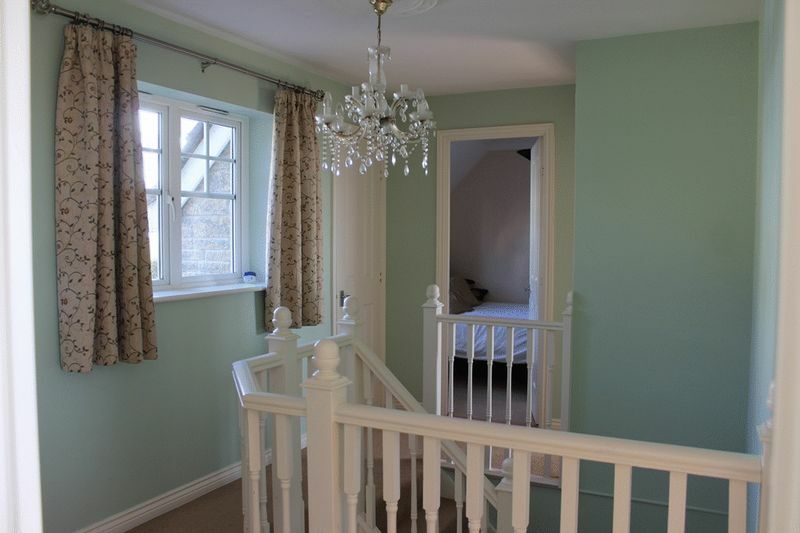 Accommodation provides an impressive reception hall with turning staircase and useful storage cupboards, cloakroom/W.C. 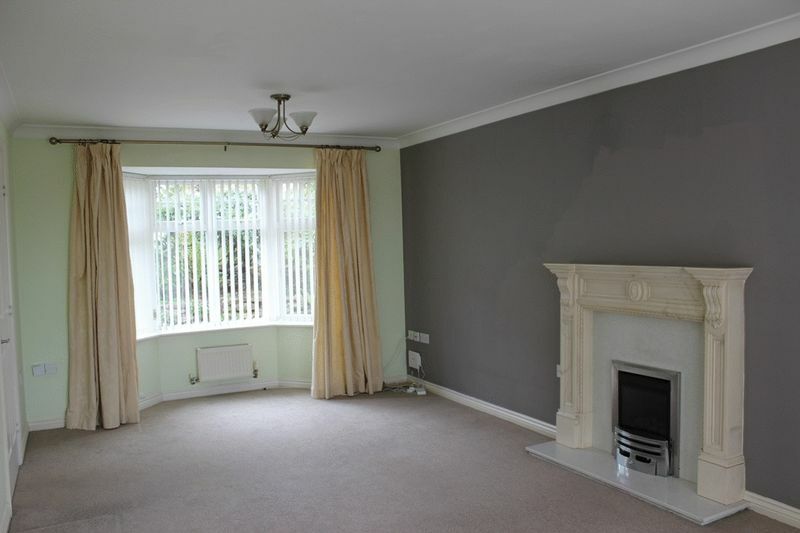 Large dual aspect living room with patio doors to rear gardens, study/family room or potential fifth bedroom, light and attractive kitchen through dining room with fitted appliances, utility room. 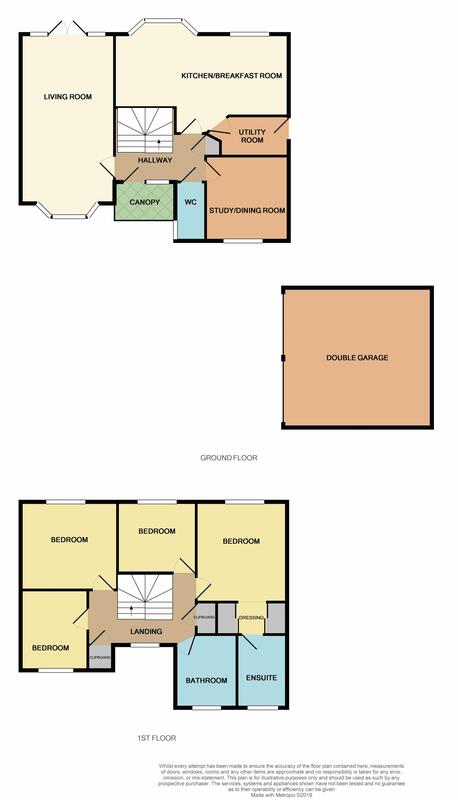 Gallery landing, four good size bedrooms, the main having a walk through dressing area and ensuite shower room, together with spacious family bathroom to first floor. 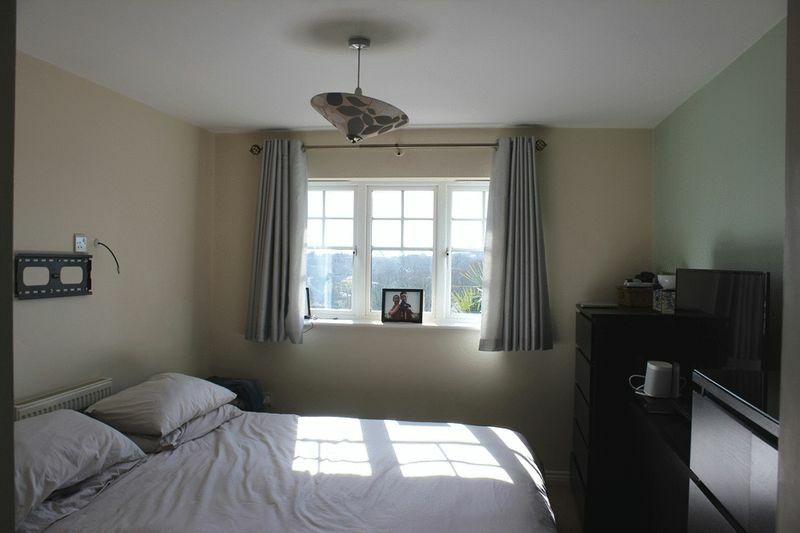 The accommodation is served by gas fired central heating to radiators, complemented by UPVC framed double glazing. Retallick Meadows is a continually sought after and highly regarded residential development on the eastern fringe of the town, an appealing and practical location for the family being within walking distance of schools, college and amenities, and being little over one mile from St Austell's main town centre. 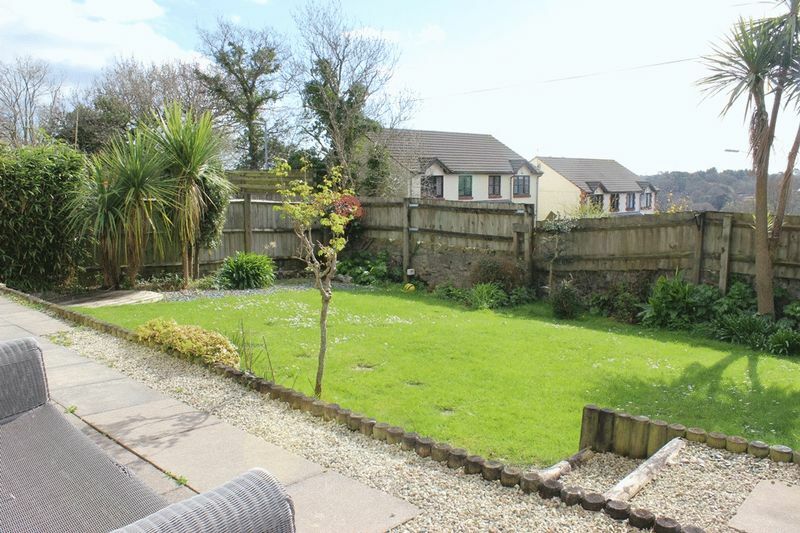 Combining this property's accommodation, setting and double garage/parking, it is anticipated to appeal to a good number of people and early enquiries are advised. Canopy porch, courtesy light, part glazed door to hallway. Impressive immediate reception area, feature ceramic tiled flooring. Turning staircase to first floor with attractive hand rail banister, enclosed storage cupboard under. Further recessed shelved storage cupboard. Radiator. Doors leading off to cloakroom/W.C, large living room, study/family room and kitchen through dining room which in turn leads to utility. Close coupled W.C, pedestal wash basin with tiled surround. Ceramic tiled flooring. Radiator. Patterned glazed window to front. 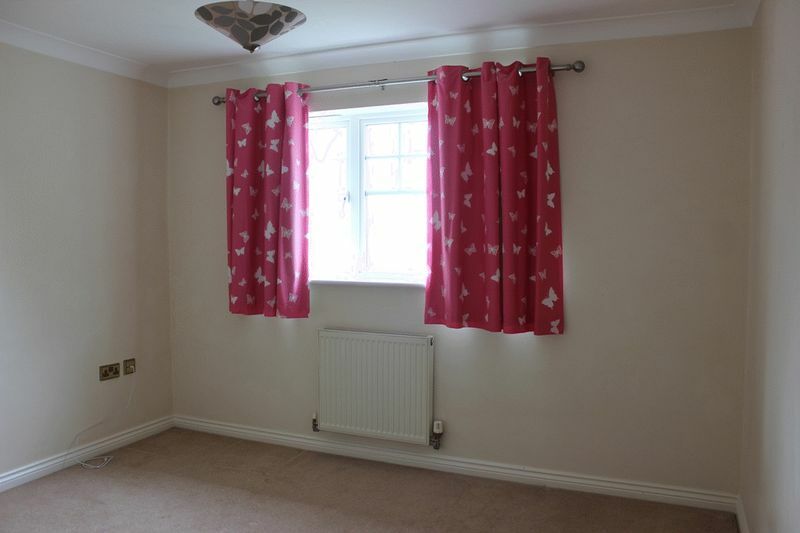 plus front bay window recess, lovely large dual aspect living room with front bay window and picture window patio doors to rear enjoying outlook and opening to sunny south facing rear gardens. Marble mantle surround setting housing living flame gas fire. Two radiators. TV aerial socket, telephone socket. 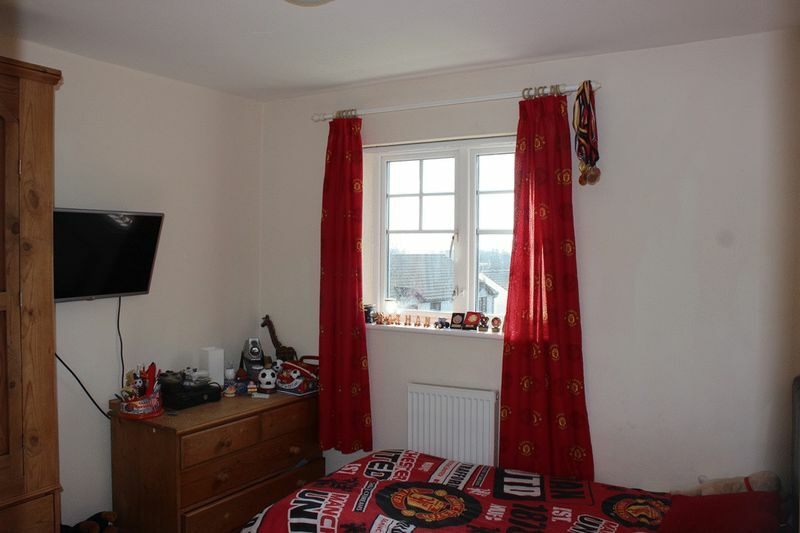 Versatile additional ground floor room which could be utilised as a fifth bedroom if required. 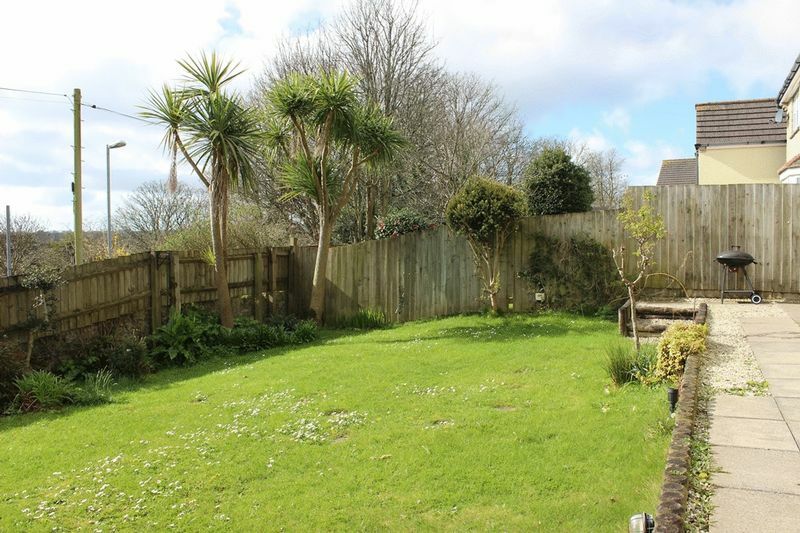 Light and attractive through room providing excellent kitchen and dining areas part divided via peninsula return, ceramic tiled flooring throughout, bay window and further window enjoying sunny south facing rear garden aspect. 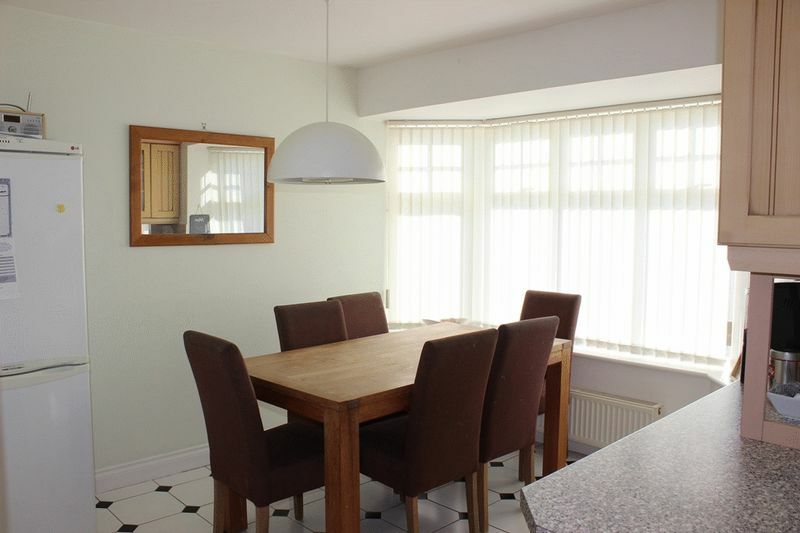 Dining - Generous dining area with the recessed bay window to rear, radiator. 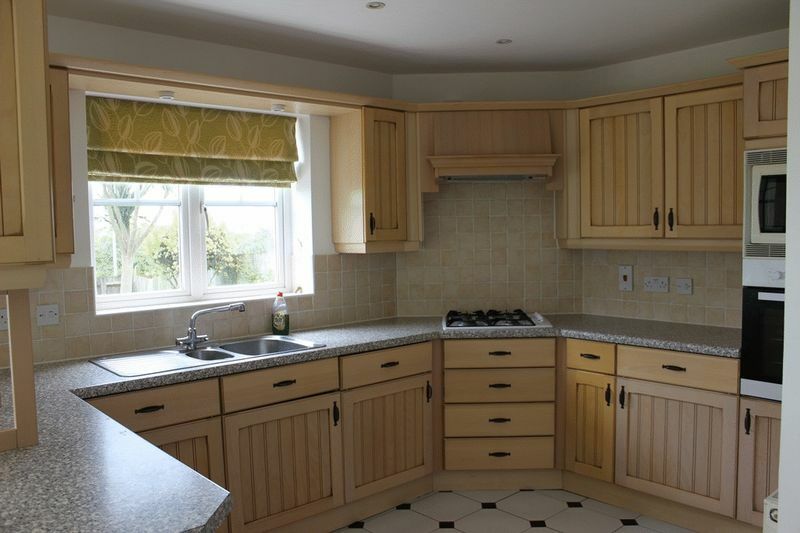 Kitchen - Fitted with a comprehensive range of base and wall units providing extensive cupboard, drawer and display storage, working surface over with part tiled walls adjacent, incorporating inset sink unit, electric oven, microwave oven, four burner gas hob with hood over. Integrated dishwasher, refrigerator and freezer. Radiator. Door to utility. Matching base and wall units with work surface over and part tiled walls adjacent, incorporating inset sink unit. Space and plumbing automatic washing machine, further appliance space. Wall mounted gas fired boiler. Radiator. Half glazed door opening to rear. 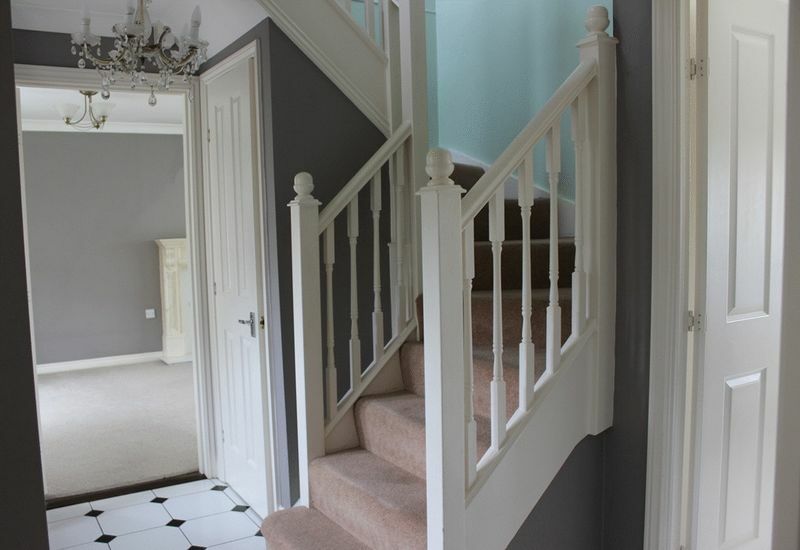 Attractive hand rail balustrade to staircase reveal, good natural light via window to front. Recessed storage cupboard and further recessed shelved airing cupboard. Access hatch to roof space. Doors leading off to all four bedrooms and family bathroom. 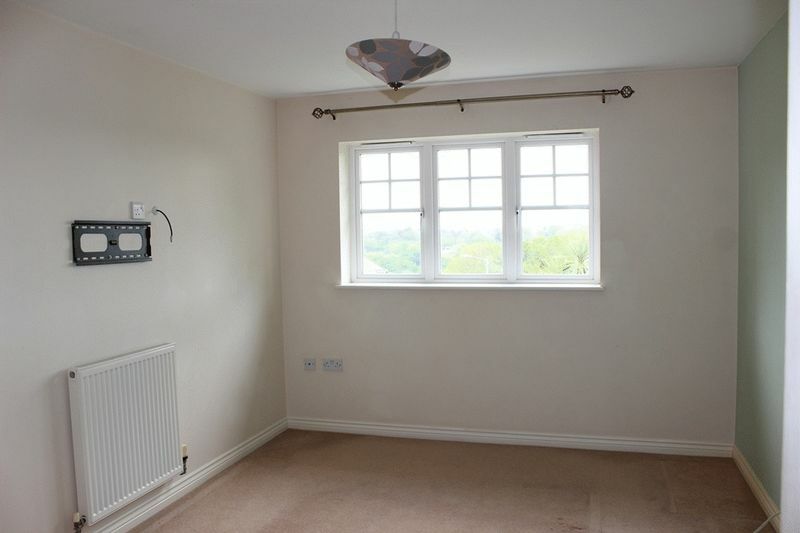 Window to rear enjoying southerly aspect and distant views. Radiator. TV aerial socket. Arched walk through to dressing area with dual sets of recessed mirror fronted wardrobes, door to en-suite. 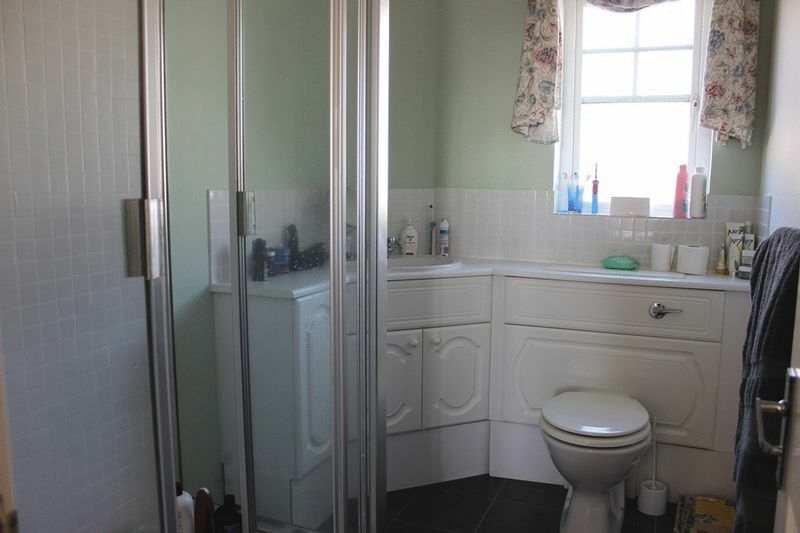 Fitted suite comprising double size glazed and tiled shower cubicle, wash hand basin inset cabinet surround incorporating W.C with concealed cistern. Radiator. Patterned glazed window to front. Window to rear enjoying southerly aspect. Radiator. TV aerial socket. Window to rear enjoying sunny southerly aspect. Radiator. TV aerial socket. Window to front. Radiator. TV aerial socket. 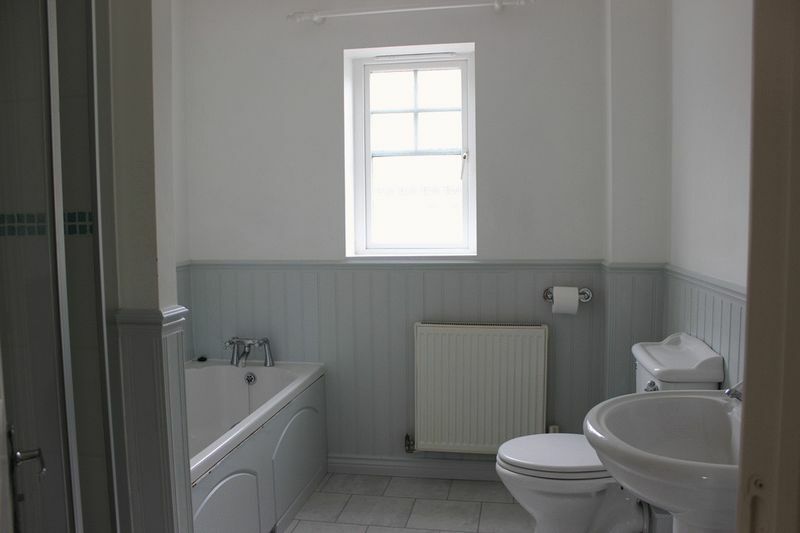 White suite with part panelled walling decoration, tiled shower cubicle with glazed screen, panelled bath, pedestal wash basin, close coupled W.C. Radiator. Patterned glazed window to front. Hard standing parking for two/three vehicles to front. Walling, railing and rockery divide with steps descent to lower front garden with well enclosed areas of shingle patio enjoying the rockery and garden features, pathway and gate to side, to rear. The rear gardens enjoy a sunny south facing aspect providing areas of patio and lawn with well stocked shrub borders and features, the whole well enclosed with fencing to boundaries. Garden tap. 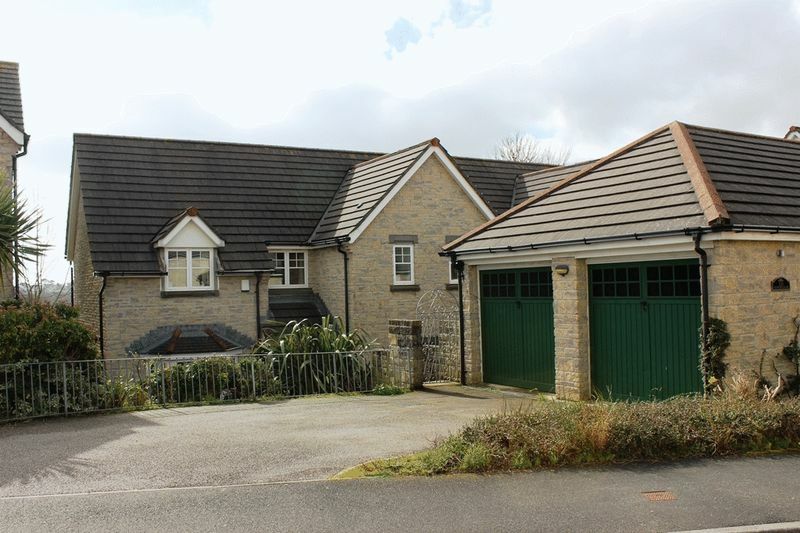 Detached double garage with twin metal up and over doors, electric light and power connected, double width driveway approach providing parking for two/three vehicles.